IT security professionals know: Being compromised is a given. The challenge is detecting threats by continuously monitoring for patterns and behaviors that indicate malicious intent. That’s a primary reason why endpoint security and endpoint management is converging. This joint presentation includes a discussion on current trends around the convergence of endpoint security and endpoint management, and how the integration of VMware and Tanium technology delivers powerful TrustPoint capabilities—well suited to mobile and cloud. 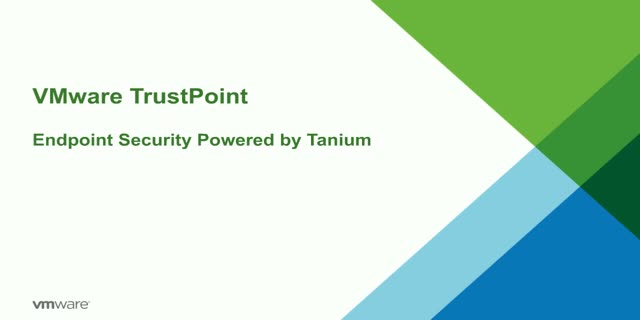 See how TrustPoint, a new integrated solution from VMware and Tanium, can help improve your security profile and better manage complex migration tasks.